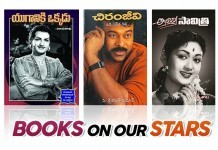 ChaySam ni undoubtedly tollywood and south India’s most talked and adorable couple ani chepochu. 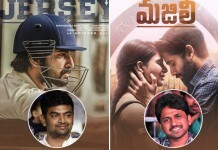 First movie ‘Ye Maya Chesave’ nundi and aa taruvatha chesina inkonni movies varaku ee cute couple chesina maya mana andariki telisindhe. Ee iddari madhya onscreen chemistry kastha offscreen lo kuda continue aindi. Ika aa taruvatha jarigina fairytale wedding tho Samantha Akkineni kodaliga maripoindi. After marriage ee iddaru ippudu ‘Majili’ movie chestunaru. Ee movie kosam ee iddaru recent ga #AskChaySam ane Questionnaire ni twitter lo post chesaru. Ee questionnaire ki fans nundi huge response vachindi and questions kuda chala quirky, twisty, and funny ga adigaru. Ee questions ki Sam konchem serious ga matured ga love guru la answers isthe Chay matram normal ga chala settled ga only one line answers ichadu. 1. Why do boys act so immature and insensitive in understanding emotions and how to tackle them ?? 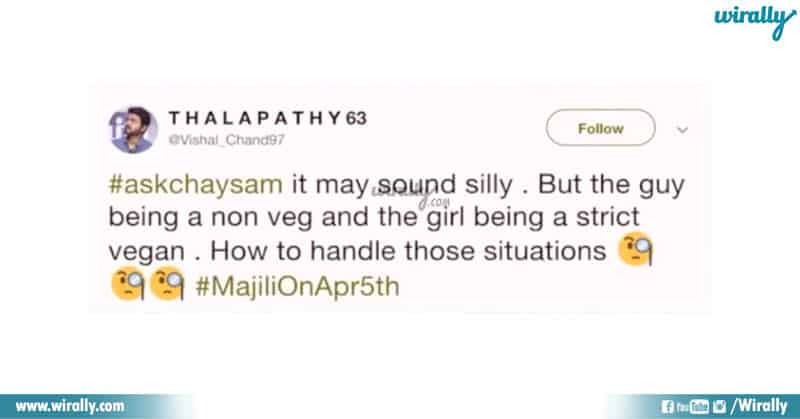 Obviously ilanti questions girls eh vestharu, and this one was from a girl only ! 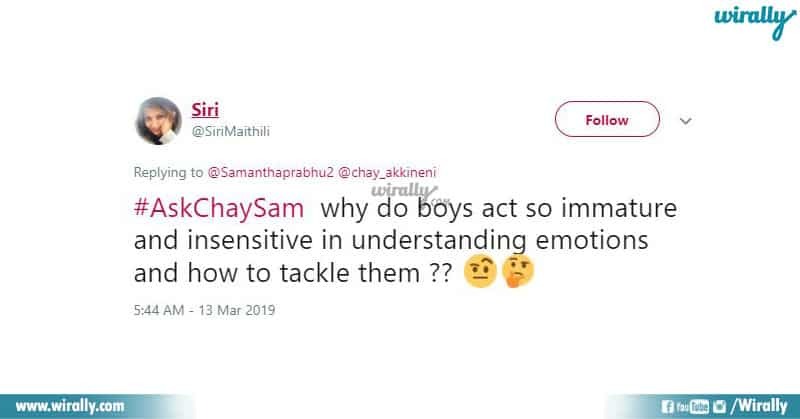 Sam Answer: Question vinna ventane great question antu answer ila answer chesindi – ‘Try to communicate with boys and understand them. Still insensitive anukunte appudu adi questionable’. Ide question ki Chay respond avuthu ‘Girls understanding skills takkuva so boys don’t worry antu support cheyadam start chesaru’. 2. What is the best way to propose a girl ? A Million Dollar question for every boy …! 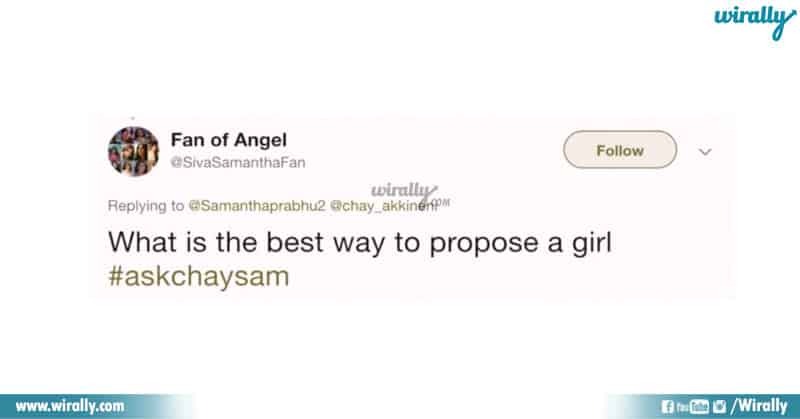 Chay Answer: As simple as that there is no best way ‘ela chepina variki best feeling eppatiki radu’ antu answer ichadu… but Sam intervened Chay and Honest unte chalu ani chepadam tho okay honest ga antu one line answer chesindi. 3. I met my childhood love recently and asked him for marriage but he wants me to wait for 5 years to marriage, Should I wait or not? 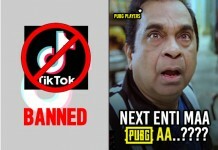 antu oka ammayi vesina ee question ki …! Chay Answer: Again Chay was confused and ‘wait, else figure out someone’ antu simple & confused answer ichadu. Sam again intervened him and said I don’t think so antu ‘just talk to him and take a decision’ antu love guru range lo answer ichindi. 4. 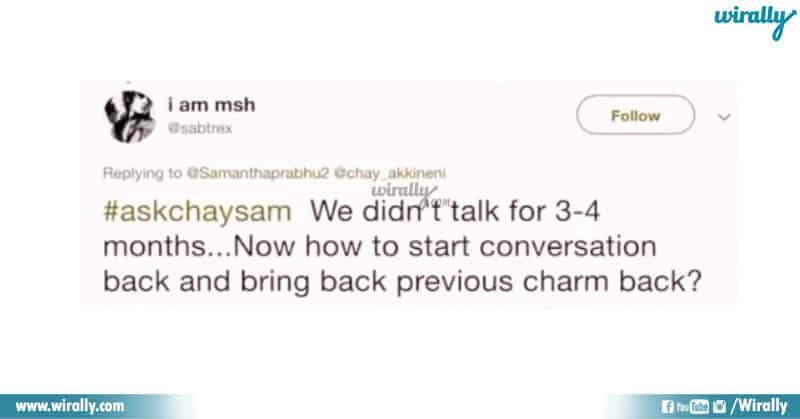 We didn’t talk for 3-4 months and how to start a conversation & bring back charm ? 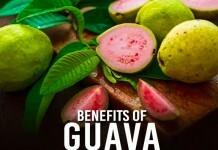 Ammayo, Abbayo teliyadu .. but a good question. 5. How to tackle the situation if boy is Non-vegetarian and Girl is Vegan in relationship. Sam Answer: Oka true incident ni mention chesthu you have to make relationship, vegan or Non-vegetarian anedi matter eh kadu antu malli love guru range lo answer ichindi. Ee adorable funny conversation chudalante please go through the below video link and please do comment who gave the best answers.